When President Trump announced a tariff on imports of solar panels (which came into effect on 7th February) we immediately ran some figures through our macroeconomic model to assess the impact that the policy might have on the US energy system. 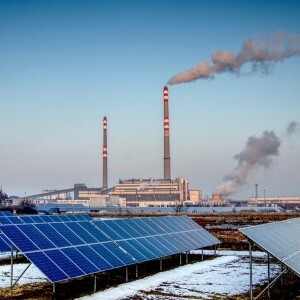 Our analysis shows that Trump’s tariff on solar panel imports will have little effect on coal use or carbon emissions and the solar revolution will continue largely unchanged. Indeed, the results are largely underwhelming. The solar revolution carries on, albeit with a blip. Total solar generation falls by about 10% by 2030 compared to the base case – however, this generation is only partly replaced by fossil fuels, as onshore wind is expected to pick up part of the slack. The announcement of the imposition of a tariff on solar panels by the Trump administration has had a mixed reaction. The tariff has been set at 30% for four years, falling to 15% thereafter. This is lower than the 50% rate that US solar producers had requested but is still high enough for solar installation firms to suggest that a substantial number of jobs could be lost due to reduced demand. So what would be the impact? It is very difficult to assess trade in commoditised goods using a macroeconomic model, such as E3ME. Commoditised goods violate the ‘Armington’ assumption of differentiated production that underpins most trade equations; for products like these, prices are instead determined purely by production costs (including taxes and subsidies), which require a very detailed set of data to assess. We will therefore leave the question of what happens to the location of production to industry specialists. What we can provide an answer to, however, is what the impacts might be on the US energy mix. Could the solar revolution be stopped? And, most provocatively, could there be a resurgence of coal-powered generation? We ran the numbers through the E3ME model (and in particular the FTT:Power submodel) to see the impact on the energy system in the US. In our calculations we have assumed that solar panels account for 40% of the capital cost of solar, the rest being transformers, other components and installation. A 30% tariff on a 40% share means a 12% increase in total capital costs (reduced by half after four years). It is assumed that domestic production does not displace imports (more on that below). The results are largely underwhelming. The solar revolution carries on albeit with a blip. Total solar generation falls by about 10% by 2030 compared to the base case. However, this generation is only partly replaced by fossil fuels, as onshore wind is expected to pick up part of the slack. Overall, there is only a very small increase in emissions. And, for the record, only a small increase in coal use. The main reason is that the momentum behind the solar revolution worldwide now is strong. Increasing the cost of solar by a one-off 12% may have a small short-term impact, but makes little long-term difference in a world where costs are falling quickly year on year. As other renewable technologies, led by wind, also see cost reductions, we end up with a large increase in renewables either way. Regarding the assumption that the policy fails to encourage US consumers to buy American rather than imported solar panels: If production of solar panels moved to the US then there would be some economic benefit. There would also be an increase in jobs, although relatively few jobs are created in manufacturing the panels. However, the effects on the costs of installing solar would be even less and so again there is little for environmentalists to worry about (i.e. in terms of emissions, the modelling is showing a worst-case scenario). In summary, the trade tariffs are a measure that might affect where solar panels are produced, with some knock-on effects on a few selected local economies in the US. But the impact on the energy system and emissions levels of the tariffs alone is likely to be minimal. There are lots of reasons to worry about future emissions levels in the US, but this one can probably be forgotten. Thanks to Unnada Chewpreecha for running the scenarios. Further information about the FTT model is available here or here.